In this video I tackle the subject of slope graphs also known as slope charts. 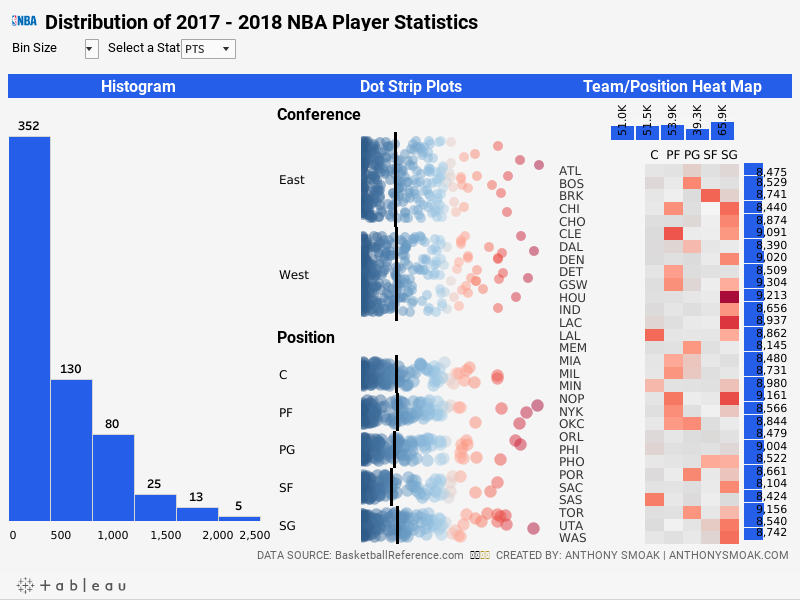 I had some fun putting together this dashboard that illustrates the changes in wins for NBA teams during the 2016-2017 and 2017-2018 seasons. 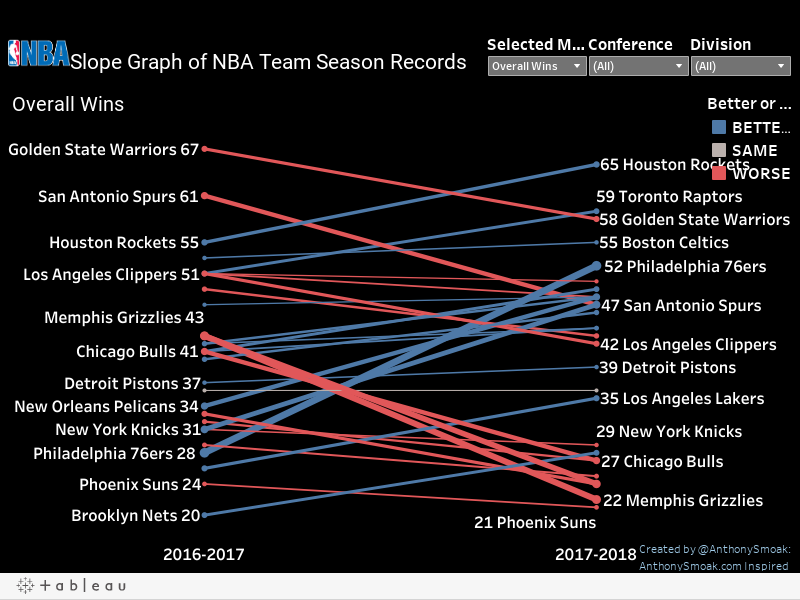 From the video you’ll discover that Chicago, Atlanta and Memphis are on a Hindenburg-like trajectory, while trusting the process in Philadelphia led to huge season gains in overall wins. 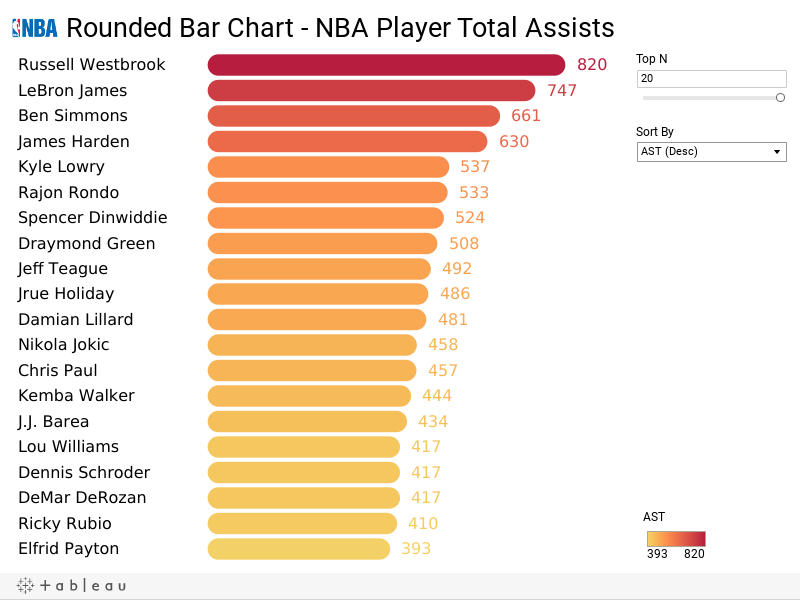 Click the pic to interact with the Tableau Public visualization, also download the workbook and data to dissect as needed. For your convenience the calculated fields that I used to create the measures are listed here. Note that [Selected Measure] is a parameter that you need to create that lists all of the measures. During the <Season> Season, the <Team> had <SUM(Calc Select Measure)> <Parameters.Selected Measure>. I have to give thanks to Ben Jones at the Data Remixed blog for the inspiration!